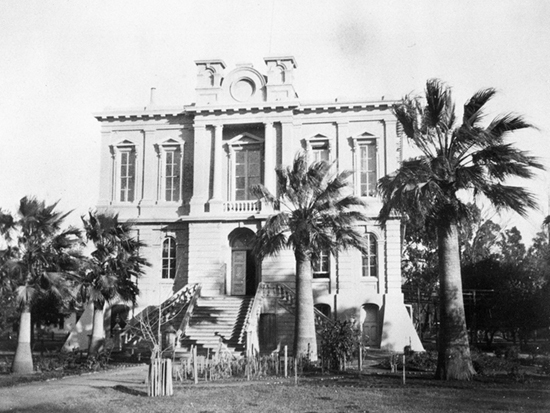 Weakened by earthquakes and characterized by "improper ventilation and foul odors," Yolo's first courthouse was condemned in 1911 as "unsanitary and unfit for the transactions of the court." It was replaced in 1917 by an expanded, classically inspired courthouse that is still in use. The building was restored in the 1980s and placed on the National Register of Historic Places in 1986.